Line Removal is the process of removing both thermoplastic and paint lines. At Hydroblast, we make huge investments into machinery so that we can specialise in hard to navigate areas. Our machinery is small, nimble, and fast, making us an ideal choice for rectifying mistakes. We can be called our anywhere in the country with minimal callout fees, and beat standard day rates due to our speed. 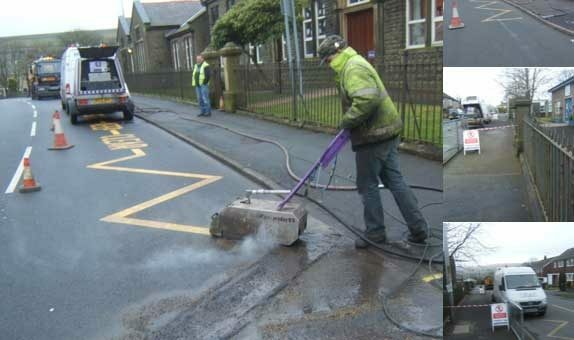 Our machines have been used around the country in applications such as airports, schools, zebra crossings, road markings and car parks. If you’re in search of a reliable and highly versatile company who can carry out Line Removal and much more, look no further than Hydroblast. Call us on 01677 428 786, email us at [email protected] or fill out the contact form below. We look forward to hearing from you.